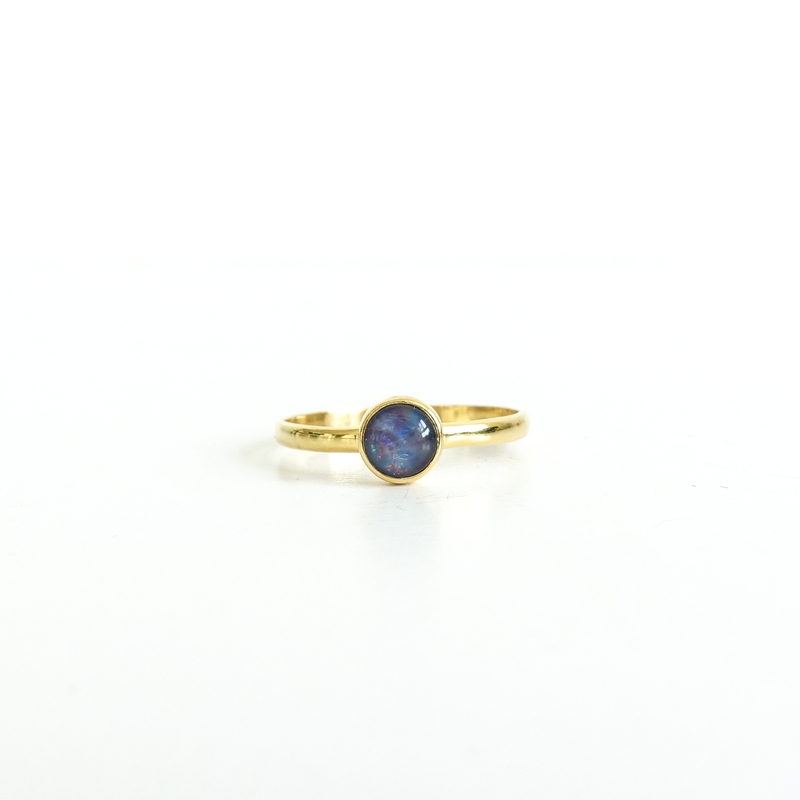 The “Eye Stone”, the spectral delight that is Opal. This Australian Opal is like lightning in a rainbow, it flashes its brilliance with even the slightest movement and claims notice by all who witness its phenomenal “fire.” This is a stone so dedicated to the eye, so pleasing to the sight, it inspires love and hope, innocence and purity, luck and happiness. Also, opals resonate with energies of the Mother Goddess and are exceptional gifts for mothers or mothers-to-be. Gift a new piece of jewelry for the birth of each child. Of the three basic types of Opals, “Precious Opal,” also called “Rainbow Opal,” is the rarest, mined in a limited number of locations worldwide and produces brilliant flashes or streaks of iridescent color when turned in the light, a phenomenon known as “play of color.” Opals promote a sense of calm security, easing stress and depression, and encouraging one to stop brooding in order to better direct one’s thoughts and energies. They are antidotes to restless thoughts and racing minds that rehash the past or anticipate the future. Opals center the mind and are stones of happy dreams, particularly soothing for children and those who have always slept badly or had recurring nightmares with no apparent reason. You want to order this Australian Opal Tiny round ring but you don’t know the size? Use a measurement tape to measure the inner diameter of any ring you have.